Invited back after their stunning debut on Music in the Park Series in the 2013-14 season, this young, energetic wind quintet returns with a program that features music inspired by Shakespeare (including their own arrangement of a Suite from Leonard Bernstein’s West Side Story) as well as music by Mozart, Samuel Barber and innovative English rock group Radiohead. Playing exclusively from memory, WindSync engages audience of all ages with creative and interactive concerts that incorporate elements of theater. The ensemble–hailed by the Houston Chronicle as “revolutionary chamber musicians”–is recognized internationally for dramatic and adventurous programming in venues ranging from concert halls to museums, universities and schools. WindSync has distinguished itself among classical music ensembles as North America’s foremost emerging wind quintet. The ensemble is recognized internationally for dramatic and adventurous programing in venues ranging from concert halls to museums, universities and schools. The young, energetic group plays exclusively from memory, including elements of staging and choreography, and focuses on building connections with audiences through dynamic concert programming and charismatic stage presence. Winner of the 2012 Concert Artists Guild Victor Elmaleh International Competition, WindSync also received the Sylvia Ann Hewlett Adventurous Artist Prize and numerous performance prizes from the CAG competition, including the ensemble’s New York debut at Weill Recital Hall at Carnegie Hall, the Chautauqua Institution, Washington Performing Arts Society’s Music in the Country series, the Music in the Park Series of The Schubert Club (St. Paul, MN) and the Regina A. Quick Center for the Arts at St. Bonaventure University. Strongly committed to educational enrichment and promoting arts engagement, WindSync’s featured educational presentations include the Seattle Symphony Orchestra, Rockport Chamber Music Festival, and Chamber Music Festival of Lexington, KY, among many others. WindSync has performed lecture recitals, workshops and masterclasses presented by Stanford University, CSU Long Beach, Drexel University,University of Victoria, and the University of Minnesota. The group’s latest initiative is The Play Different Project, a campaign against bullying, launched in spring 2013, which teaches tolerance and friendship through music and poetry. In 2011-12, the group was selected as Ensemble in Residence for the Da Camera of Houston Young Artist Program and held the position of Ensemble in Residence with the Grand Teton Music Festival during the summers of 2012 and 2013. Born in Taipei, Taiwan, raised in Vancouver, British Columbia, Erin Tsai has performed in symphony orchestras, chamber music concerts, and solo recitals in North America, Europe, and Asia. She has performed with Houston Symphony, New World Symphony, Rochester Philharmonic Orchestra, and National Taiwan Symphony Orchestra. She has participated in the National Orchestral Institute, American Institute of Musical Studies in Graz, Austria, Sarasota Music Festival, The Banff Centre Master Class Program, and as an oboe fellow at the National Academy Orchestra of Canada. At the age of sixteen, she won first place, in open age group, in both the Federation of Canadian Music Festival and the Canada Music Competition. In addition to live performances, she has also been heard on the national radio broadcast program, “Performance Today.” She received her master’s degree in oboe performance, with full scholarships, from the Shepherd School of Music, Rice University, and her bachelor’s degree in oboe performance from the Eastman School of Music. Her influential teachers have been Robert Atherholt, Roger Cole, and Richard Killmer. A native of Chicago, clarinetist Jack Marquardt is enjoying an active and versatile career in a variety of musical settings. In addition to WindSync, Marquardt is also a member of the Illinois Symphony Orchestra. He has also performed at the Spoleto USA, Pacific (Sapporo, Japan), and Aspen summer Music Festivals, as well with the Milwaukee, Cleveland and New World Symphony Orchestras. As a soloist, he was a winner of Concerto Competitions at both Oberlin and Northwestern, most recently performing John Corigliano’s Clarinet Concerto with the Northwestern University Symphony Orchestra. A fierce advocate of new music, Jack has collaborated with many of the leading composers of our time, including Kaija Saariaho, Steve Reich, Mark-Anthony Turnage, and Kyong-Mee Choi. He frequently performs with Ensemble Dal Niente, a Chicago-based new music ensemble, and studied at the International Ensemble Modern Academy in Schwaz, Austria. His performances of new music have been featured on NPR’s Performance Today and Chicago’s WFMT classical music radio station, as well as been recorded on the Bridge, PARMA, and New Focus record labels. Committed to education, he served as Adjunct Professor of Clarinet at Concordia University in River Forest, and maintains a small private studio of high school clarinetists. His students have been prizewinners in the Midwest Young Artists Walgreen’s, American Protégé, and Concordia Concerto Competitions. He recently presented a recital and masterclass at the Interlochen Arts Academy. Marquardt holds degrees from The Oberlin Conservatory of Music, The University of Southern California, and Northwestern University. His principal teachers have been Richard Hawkins, Yehuda Gilad, and Steve Cohen. Born in Summit, New Jersey, bassoonist Tracy Jacobson is a founding member of the wind quintet, WindSync. She studied bassoon at Rice University’s Shepherd School of Music and The Juilliard School’s pre-college program. Her principal teachers include Ben Kamins and Marc Goldberg. Tracy has played with professional orchestras, chamber groups, and new music ensembles around North America, Europe and Asia. She performs regularly with the River Oaks Chamber Orchestra and has performed with orchestras including the Houston Grand Opera Orchestra, Louisiana Philharmonic Orchestra and soloed with the New Philharmonic of New Jersey. She was a fellow at the Music Academy of the West, the CCM Spoleto Festival and YPCA presented by the Kaufman Center in Lincoln Center, NY. Throughout her career, Ms. Jacobson has been dedicated to promoting music outreach and social entrepreneurship. She is a recipient of Rice University’s Sviatoslav Richter Grant for music outreach and led the JUMP! outreach program at Rice. Additionally, Tracy founded the Music Bus Tour, an organization that sponsors and provides professional support for emerging chamber groups. Born on the west coast of California and raised in Las Vegas, Nevada, Anni Hochhalter is an active musician and innovator in the arts field. Specializing in chamber music, she joined WindSync in 2010 and has launched an exciting career as a recitalist, instructor, and social entrepreneur. Anni graduated from the University of Southern California with a Bachelor of Music degree in French horn performance. There she studied with leading studio and orchestral musicians, Rick Todd, James Thatcher and Kristy Morrell and spent summers studying with Roger Kaza as a fellow at the Chautauqua Music Festival. In 2009, Anni won first prize in the Yen Liang Young Artist Competition and soloed with the Diablo Symphony. As a touring musician, she has performed with orchestras and chamber ensembles across North America, Europe and Asia and was selected to participate in the Texas Music Festival and CCM Spoleto Festival. Based in Houston, TX, Anni founded WindSync as a non-profit organization with Tracy Jacobson and Garrett Hudson in 2012. She served as Executive Director from 2013-2014 and currently holds positions on advisory committees with Houston arts organizations. 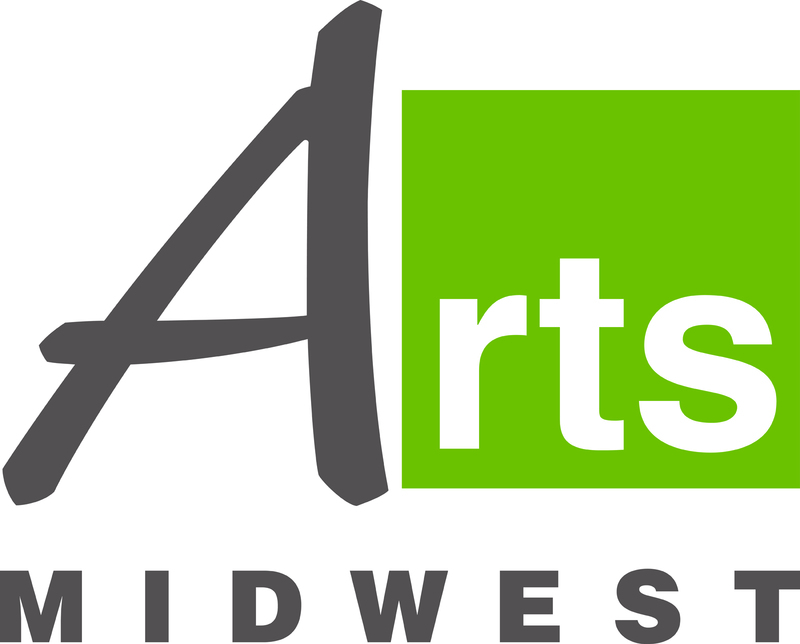 This presentation is supported by the Arts Midwest Touring fund, a program of Arts Midwest, which is generously supported by the National Endowment for the Arts with additional contributions from Minnesota State Arts Board and General Mills Foundation. The world is saying 'yes' to WindSync.